Welcome to Staging Hire UK, we specialize in all different types of stage and staged area systems for short term or long term hire. 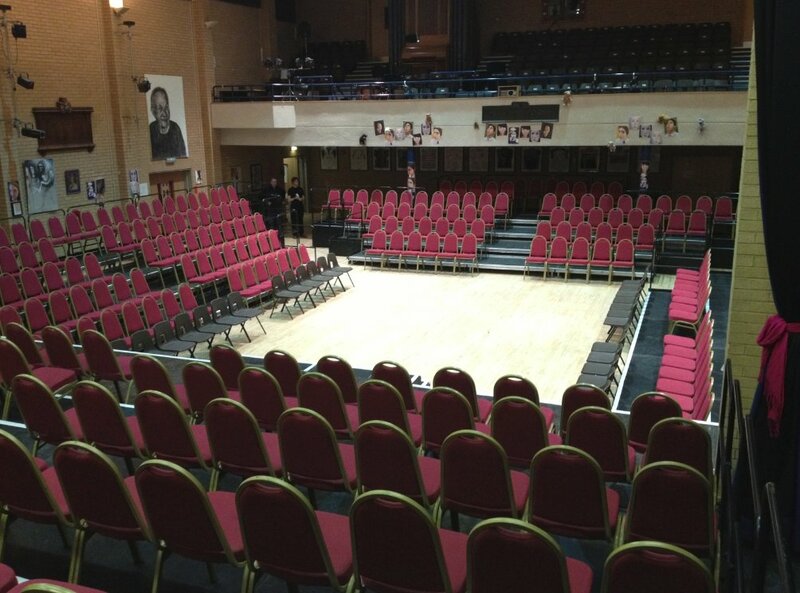 Staging Hire UK Is a Berkshire based company, we are based near several of the major motorways making us ideally based for London, Cardiff, Birmingham, Manchester and even Glasgow and the whole of England, Scotland, Ireland and Wales. over the last few years we have become a major player for events around the whole of Europe. Inside stages: These stages can be used for things like speeches, band and DJ's to set up on, catwalks, to a complete conference stage and matching set. The indoor stage systems have a choice of colours if you required a carpeted stage top including the normal black, blue, grey, white to even hot pink other colours are available please contact for further details. We can custom design any shape or style of stage that you require from a solid black carpeted stage to a glitter fronted stage. Outside stages: there are three main types of finish for outside stage use. 1. Being just plain weather proof decks with no cover. 2. Being the inflatable arch roof system and the third one is a truss roofed system. For more details on these click here. Conference Staging: Conference stages are of the highest quality with a perfect finished surface, Steps and fascia's to match your very own colour and or design choice. Company Logo's built as necessary. 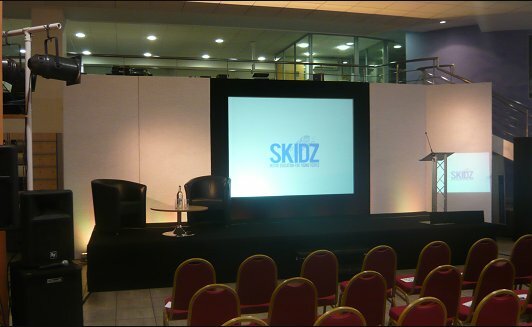 Staging Hire UK offers a bespoke conference set design and manufactured production service. Our in house team are specialists at fashioning solutions for all our clients' subject requirements. Everything from budget designed conference sets to bespoke constructions are designed and built by the team who install. Stage Hire UK can offer a complete production solution for your conference requirements, whether it be a live event with broadcast facilities, meeting or exhibition we have the team, equipment and expertise to provide it. 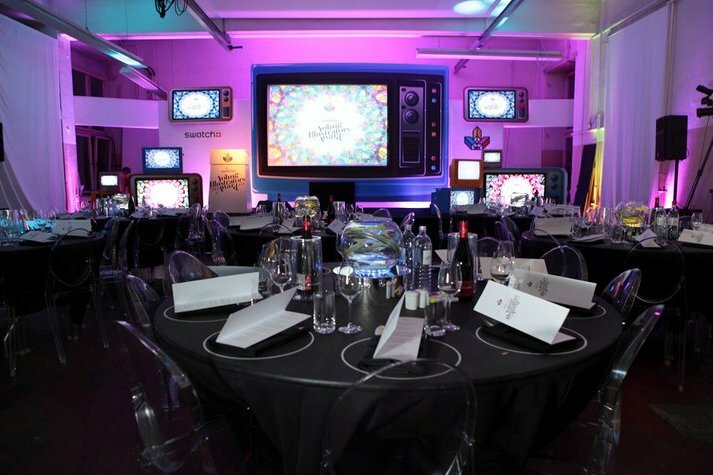 Unlike other event companies, we own every piece of equipment to cater for any size conference or production with no need to cross hire products making Corporate Events UK a cost effective event solution. Indoor LED stage: why not have a stage that you can change the colour of at the click of a button, allowing you a huge choice of colours and you can even have the stage flashing along with the band or DJ. This stage adds an amazing focal point to your room and is brand new to the industry! We can supply disabled ramp access for any of our stage hire system, indoor and out. The Stage decks we use are manufactured to the highest standards. Our Stage systems can be built in any size dividable by half metres intervals. The heights that the stage can be built are 100mm, 200mm, 300mm, 400mm 600mm and then 200mm increments up to 2000mm high. If this is not high enough please contact us for further details. Our standard Stage Decks have a weight bearing of 775Kg per square metre. We do sell a lightweight version that has a weight bearing 228Kg per square metre, which is also lighter to carry. Our stages are available in various different finishes; here are just a few options. Plain Black, Carpet finish to the colour of your choice, Vinyl Mat, Weather Proof, Pearl Finish which allows light to travel through them making them ideal for fashion shows and the more sophisticated events and can even be used as bridges to go over streams. Something that is quite often over looked when booking stages and catwalks are changing areas Corporate Events UK can supply you and build changing areas, they come complete with lighting and even a make-up mirror. They are made from self-standing drape systems so can be built anywhere. For outside events they are built into a 9m x 4m marquee. 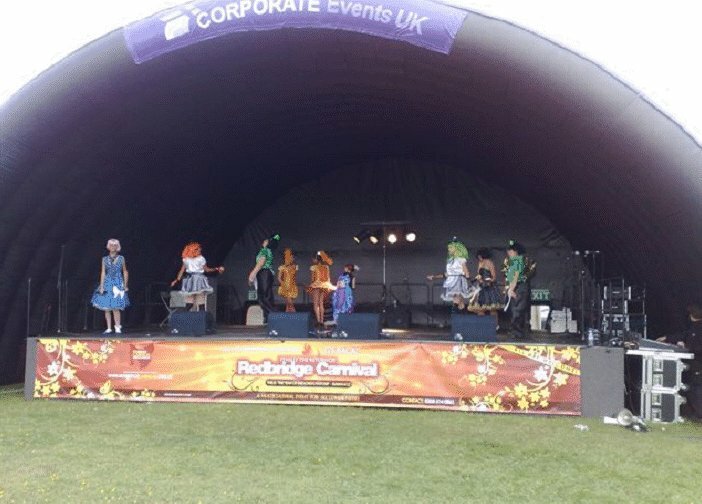 Staging Hire UK also have some great savings on package items such as wedding services, discotheques, DJ hire, Dance floor hire, Generators and even security please click here to see our package options. Staging Hire UK is here to help you get the very best in stage rental and hire in London, across the UK and even throughout the whole of Europe. Please contact us today for further information on our stage and staging hire systems or to make a booking.